If you needed a good run this past weekend, you definitely had your chance! 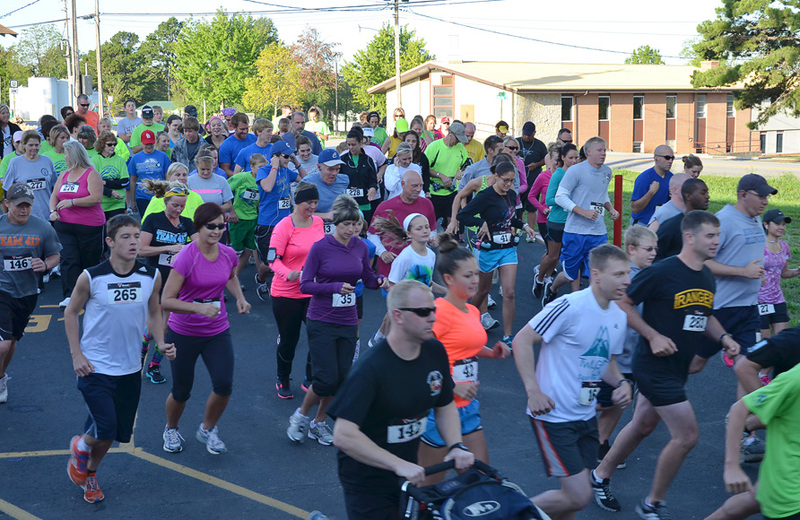 The Young Marines of Pulaski County put on the Trot for Tots 5K in Saint Robert while the Crocker Athletic Department put on the Crocker 5K Fun Run and 11K Challenge. Both events supported great causes and were well attended! There were actually many events going on this past weekend. It appears that the cooler weather of Fall is bringing everyone together. Richland had their “Pickin’ in the Park” Swap Meet, the VFW Post 3168 had a Poker Run to support Toys for Tots and Coats for Kids, and Secrest Arena hosted the 2012 Championship Youth Bull Riding Finals. The Mom Prom was probably one of the more unique events that took place. This was the 2nd Annual Mom Prom put on by a group of health care professionals to raise money for those people who need it most. This ladies only event was well represented by women of all ages dressed in formal attire to casual attire. The nice thing about this event is that they didn’t require a dress code, but for this year’s theme, Mardi Gras, they supplied beads and masks for everyone who attended! The event also supplied snacks, from candy to sandwiches, as well as entertainment. 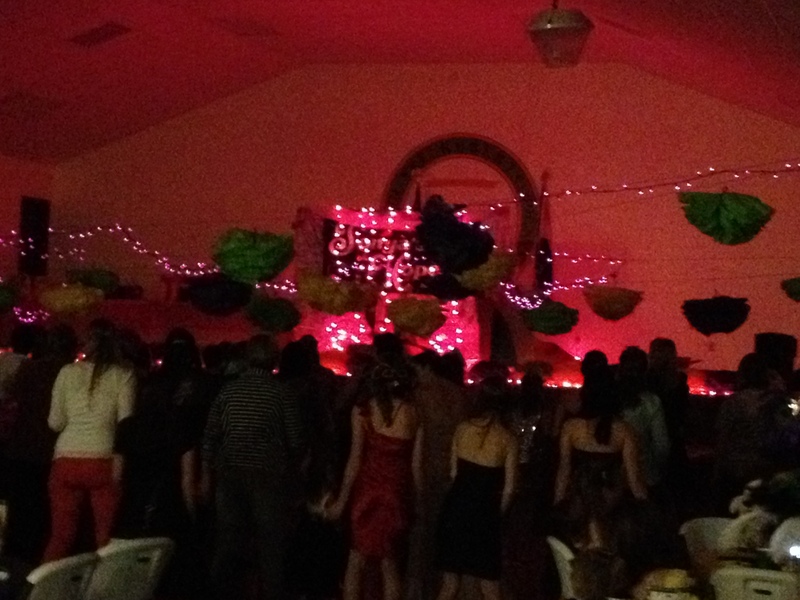 With popular dance/party music, hula hoop contests, dance contests and much more, the Mom Prom was alive with laughter and smiles the entire night. We had a great visit from First State Community Bank at the Visitors Center this week! 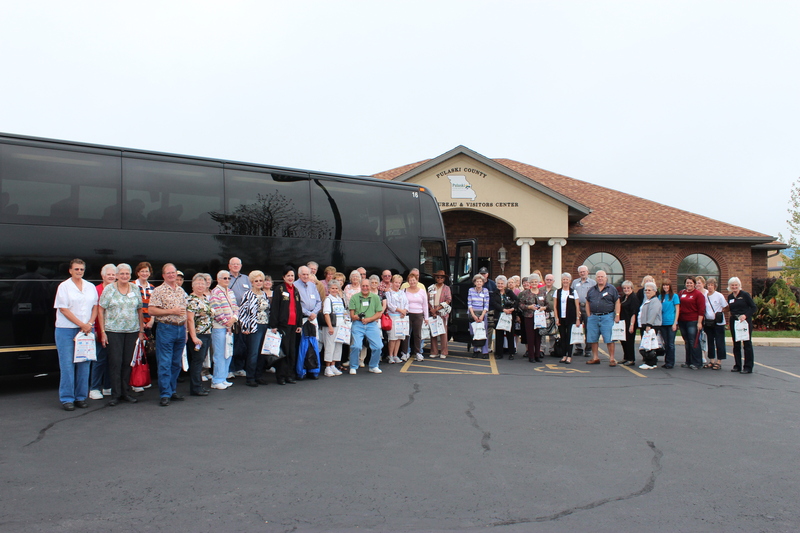 They arrived in two busses from Columbia and Sullivan and then combined onto one bus for a guided tour along Route 66 with local historian Terry Primas. We were lucky enough to follow along and get some great shots of the tour and Route 66. We are so happy they enjoyed their tour and we hope to see them again! Tonight we have our hometown Waynesville High School Homecoming Game! The crowds gathered for the parade today and will most-likely storm the stadium tonight especially with the Waynesville-Saint Robert Chamber of Commerce serving up free hotdogs and soda! 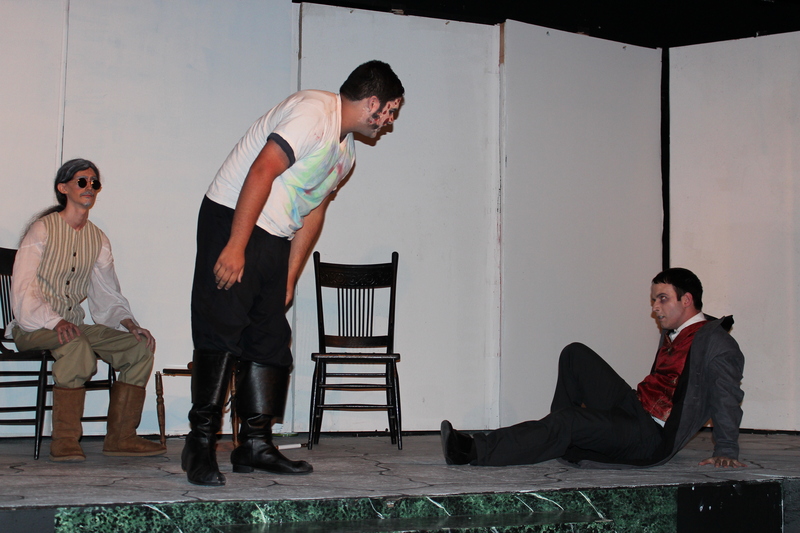 Tonight is also the opening of the Theater on the Square’s production of Frankenstein. The dress rehearsal last night was amazing, so I can only imagine how great opening night will be! Frankenstein will run for the next three weekends on Fridays and Saturday with a matinee show on Sunday, October 7th, so don’t miss it! Tickets are available at the Pulaski County Tourism Bureau! Run for a cause this weekend with Run for the Paws and Run for Life. Both are 5K races in Pulaski County! Run for the Paws raises money for the local Humane Society and the Run for Life raises money for the Free Women’s Clinic. Tomorrow night head on out to Dixon where Music in The Barn presents the Baker Band and friends! They will have Nashville Song Writers Billy Arr and Wanda Kay, and from Lebanon, MO they will have Bill Lee! Don’t miss a great show! We hope that you have a great weekend and are able to get out of the house and do something fun! 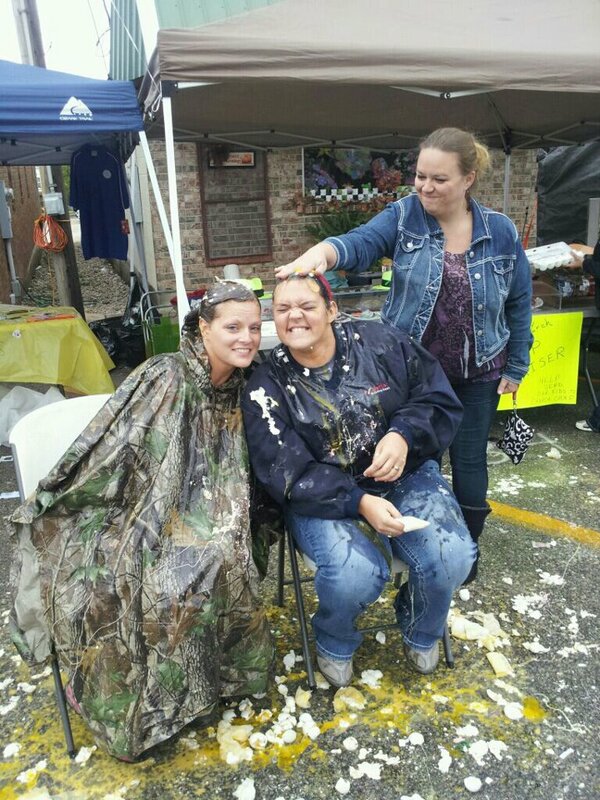 Well it was another rainy weekend in Pulaski County USA, but of course that did not stop all of the fun! Leadership Pulaski County began Thursday night with a Welcome Reception followed by a Tour of Fort Leonard Wood on Friday. This program, developed by the Waynesville-St. Robert Chamber of Commerce, “…is a community based leadership program designed to identify, educate, and develop leaders.” The Welcome Dinner on Thursday night was sponsored by Security bank while The Tour of Fort Leonard Wood “Lunch and Learn” was sponsored by Leonard Wood Institute. During the tour, given by Mark Premont the Director of the Plans, Analysis and Integration Office at Fort Leonard Wood, the class was filled in on the history of the base as well as current projects taking place. For lunch they ate with the trainees and after lunch the class enjoyed truck driving and shooting training simulators. The next Leadership class is in October where they will be learning about Tourism in Pulaski County. Many events took place this weekend; Zumba Party in Pink, Lost in the Woods Women’s Expo, Richland Saddle Club Fun Show, Interactive showing of the Rocky Horror Picture Show, and a Bummer that Summers over Party! However the most anticipated event of the weekend and one of the biggest events of the year in Pulaski County USA, was Dixon Cowdays! Cowdays took place on Friday and Saturday where the rain kept pouring and so did the people coming in. Regardless of the weather, the community and long-time Cowdays fans braved the rain to enjoy this tradition. While it rained most of the day on Saturday, the skies dried up for the parade and the people continued to come out. The big hits of the festival were the climbing wall, bounce houses, and water slides which will be back next year. They had turtle races, egg tosses, live bands and much more, but the most exciting part of Cowdays is that they give away three cows to the public! Shop in a Dixon Chamber business and you get a ticket. Come to Cowdays and if they draw your ticket, you win a cow! Make sure you put Cowdays on your schedule next year for September 20-21, 2013! You don’t want to miss it and remember…come on out rain or shine! We have another fun-filled weekend coming up in Pulaski County USA! 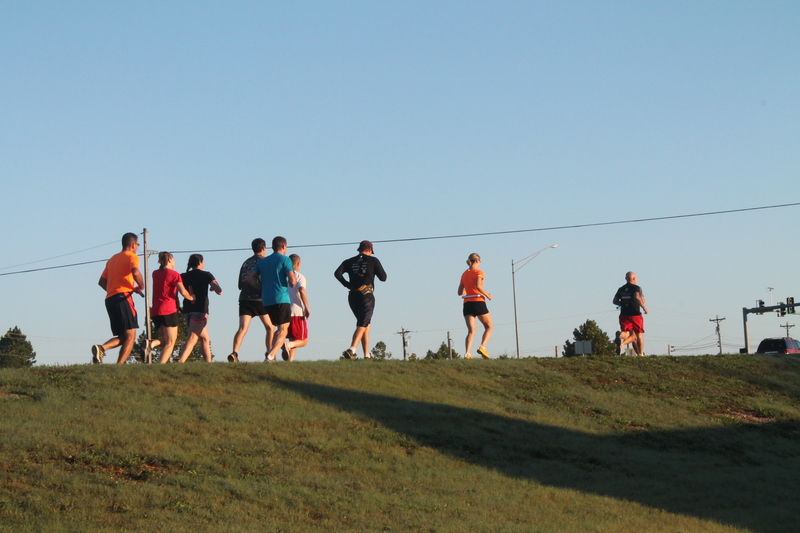 Tomorrow morning we have two 5Ks to keep you in shape! Support the Crocker Schools Athletic Department or Toys for Tots and get your run on in the morning. Make sure you run on over to Richland where they will be having their huge swap meet in Shady Dell Park from 8am-8pm. Enjoy some good ole bull riding with the Championship Youth Bull Riding Finals at Secrest arena at 2pm and 7pm. Enjoy a good poker run? Ride on out to the VFW Post 3168 for a Poker Run benefiting Toys for Tots and Coats for Kids on Saturday with BBQ and a DJ to follow. Ladies, leave the men at home on Saturday night for a fun girls only Prom! All ages are welcome to this family friendly event, so come on out with your dancing shoes on! We hope that you get to enjoy something fun, so pick and event and do something this weekend! Pulaski County USA gave you all a little break to catch upon housework and errands this weekend, with only one main event taking place. The Saint to Saint race is the only relay race that starts and ends in Missouri! Saturday was their first inaugural event and it is already on the calendar for September 7th next year. This event raises money for a great cause; the Diabetes Education Fund. Every year more and more people are being diagnosed with diabetes and “we believe that education is the key for these individuals to lead a healthy lifestyle in the future,” according to the Saint to Saint information packet. This year there were ten teams of five and three ultimate runners who ran the entire forty-one miles between Saint Robert and Saint James. The fun fact about this race is those people who ran this year are now the record holders for the years to come! The fastest time for the ultimate runner division was 6.14. I don’t know about you, but I couldn’t imagine running for six hours straight; kudos to her! The fastest overall time throughout all of the divisions was 4.57. If you are interested in this event next year, you better start training now! All of the runners absolutely loved participating in this race, so next year if you don’t want to run, come on out and support the runners! It always helps when you have people cheering you on! 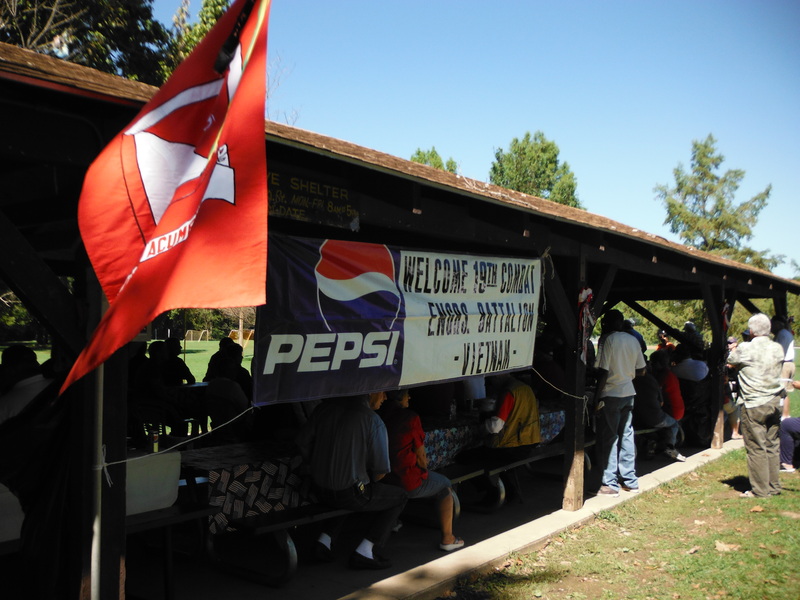 This weekend the 19th Engineer Company (Vietnam) held their annual reunion. They come to Pulaski County USA every year around this time to enjoy each other’s company while reminiscing about the old days. Approximately 75 attended the reunion this year with friends and family and I was lucky enough to be able to attend their BBQ in the park! These gentlemen love talking about not only their time in Vietnam, but the history of their Engineer Company. I think it is a great thing that these men still reunite every year to strengthen their bonds of service with the Engineer Regiment and each other. We can’t wait to see them next year! 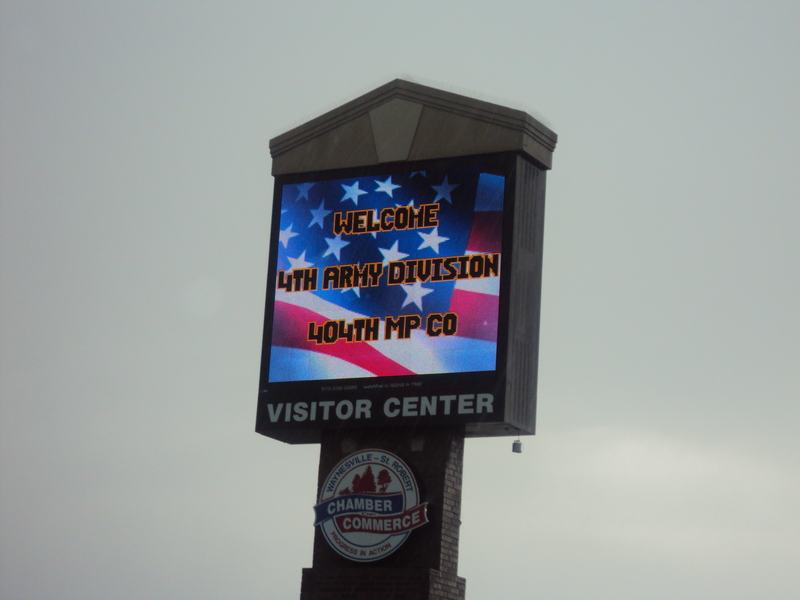 We also had another reunion group visit us this weekend; the 404th Military Police Company! To tell you a little about this group, I asked our Group Tour/Travel and Reunion Coordinator, Karen Hood, to write a short guest blog for this post. We did give you a little break this past weekend, but this next weekend…get ready…it’s about to get crazy! Friday night we have the “Let’s Beat the Streets for Poverty” event in St. Robert. This event offers something for everyone. Get in a 5K run, 5 mile bike run, or a 1 mile family walk and finish the event with a movie in the park. 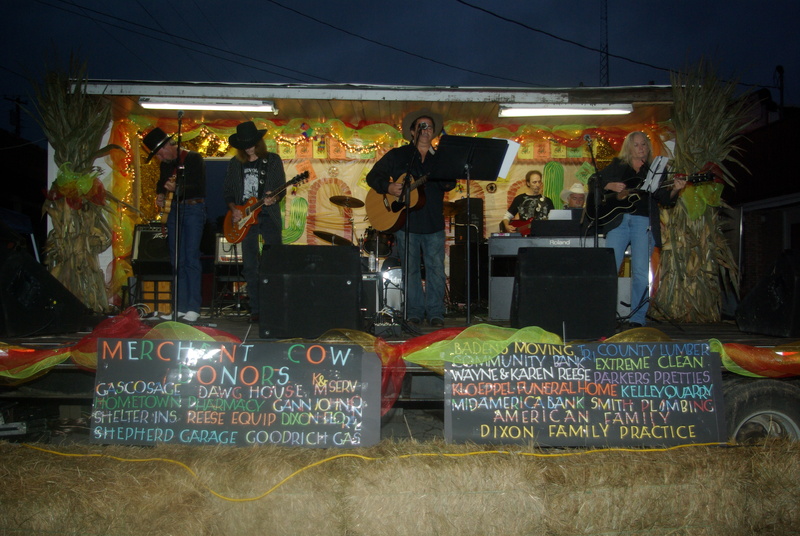 We also have our highly anticipated Dixon Cowdays Festival! During this festival you can win one of three cows; a long-time tradition. Enjoy music, dancing, crafters, vendors, food and much more. You can even enter an arm wrestling contest or do some karaoke! Gather up your gal pals and start your Saturday off with a Zumba Party in Pink to support breast cancer and then drive on over to the St. Robert Community center for a day of shopping at the Women’s Expo. Still not enough to do? Well we know you love the Rocky Horror Picture Show, so Saturday is your chance to dress up and do the time warp to an interactive show at the Black Jack Bar and Grill. Maybe the time warp isn’t your dance of choice? Enjoy a rock concert by “Ten Down” and “Days Taken” at the Roadhouse Bar and Grille on Saturday night for their “Bummer Summer is Over” event. This weekend is going to be a big one and we hope that everyone has a chance to get out and do something fun! What a rainy Labor Day Weekend in Pulaski County USA…but it didn’t stop us! We began our holiday weekend with a concert at Music in the Barn in Dixon. That’s right, I said The Barn, and that is just what it is! We may be a little bit country out here, but we are proud of it! The Barn was built in the early 2000’s by Bill and Rebecca Johnson in their hopes of creating a place for family friendly entertainment in their small town community of Dixon, Missouri. You may be imagining a red barn, with dirt floors and animals, but this barn is quite the opposite. 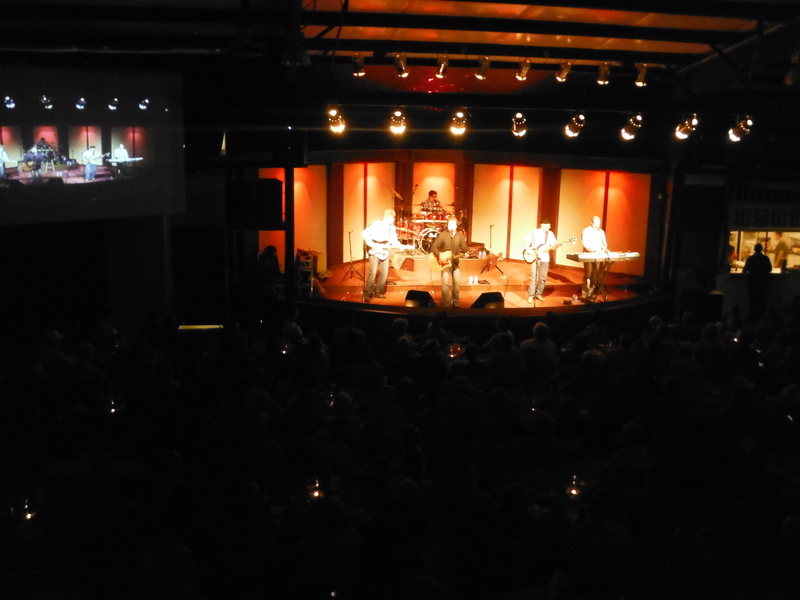 With concrete floors, heat and air, combined with a state of the art stage and sound/lighting system, you wouldn’t even notice you were in a barn! They have had many great acts over the last couple of years including Gene Watson, John Anderson, Pam Tillis, Marty Haggard, and just recently Restless Heart, to name a few. After an amazing concert in Dixon on Friday night, Saturday was just as busy with the 40th Annual Railroad Days Festival in Crocker! The thing I would like to mention is that Friday, Hurricane Isaac had moved in to our area and by Saturday he wasn’t budging. This made for a very rainy weekend, but the folks of Crocker didn’t care; no storm was going to take away from their long-time tradition. Vendors and music lined the streets of Downtown Crocker on Saturday, but the parade was the main attraction that day. I never would have imagined that so many people would come out to watch the parade in the pouring rain, but small-town railroad pride is obviously stronger than a hurricane. The sidewalks were lined with umbrellas and kids were running after candy being thrown from the floats. It was almost as if no one noticed it was raining; except maybe the rain-soaked people in the parade… All-in-all Crocker Railroad Days was successful regardless of the hardball that Mother Nature decided to throw at us! The Biker Homecoming Rally, this weekend, put the “wild” in “wet n’ wild” out at the Shrine Club in Buckhorn! This event was put on by the Freedom of the Road Riders and volunteers from the Christian Motorcycle Association were there to help. The weekend was wet, which put a damper on some of the activities, but these bikers made the best of it and had a great rally. They had a large bike show followed by great live entertainment every night of the rally. If you love bikes and you have never been to one of our rallies, then you need to make plans to attend the next one! They are always a lot of fun and people always come back the following year! 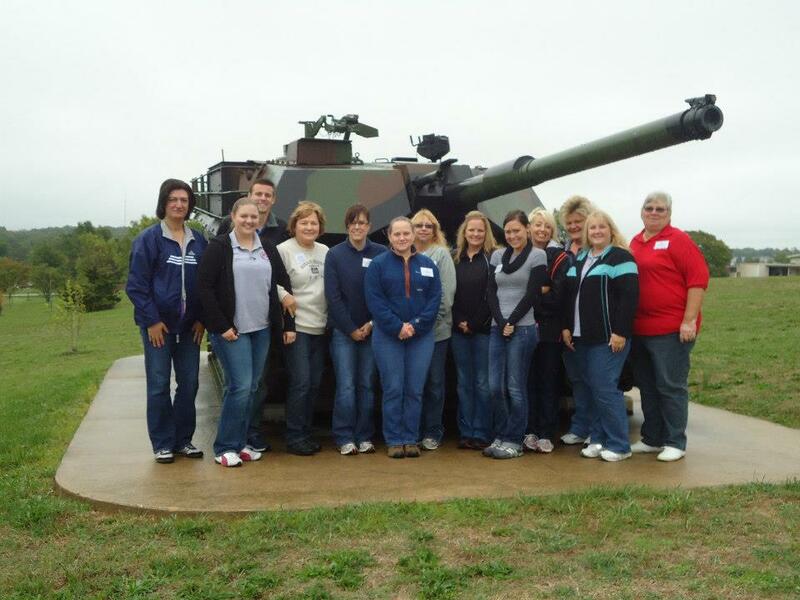 The United States Army Prime Power School stopped in Pulaski County this weekend where they hosted a reunion for all individuals affiliated with the facility. The state-of-art school was completed in 2010 and was handed over to the 249th Engineer Battalion. The battalion generates commercial-grade electricity to military installations and federal relief organizations. 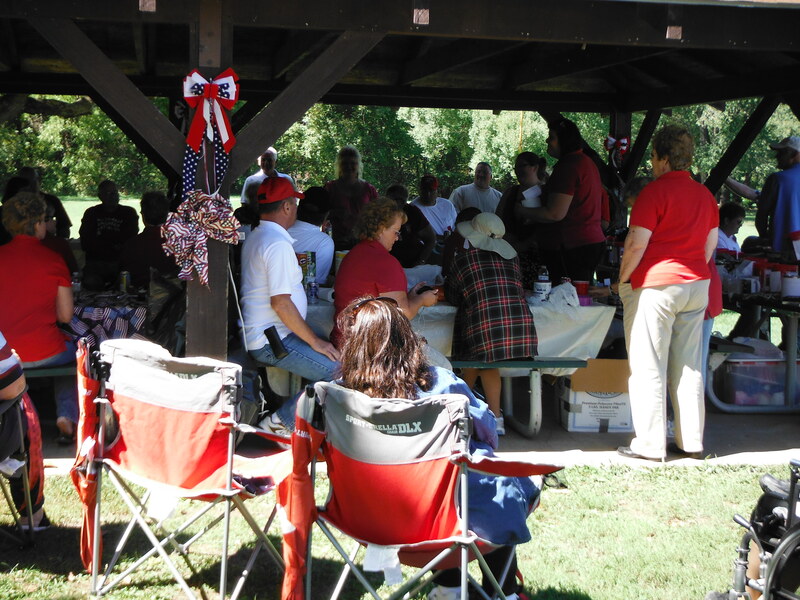 The reunion took place on September 1st with approximately 100 attendees. The Market Basket out of Richland catered their luncheon at the school and nearly 25 of the attendees got together Friday night before the reunion and had dinner at the Cave Restaurant in Richland, in which they very much enjoyed! We may have had a very wet and muddy weekend over here in Pulaski County USA, but the fact that we had three successful events and a military reunion during a hurricane weekend just goes to show that we aren’t afraid of a little rain! If fun is to be had, we will have it! Please stay tuned to this weekend where we will have our first annual Saint to Saint Relay Race. Runners in teams of four will run ten miles each until they complete the forty-one miles from Saint Robert to Saint James. Saturday night, if you enjoy car shows, cruise on out to Crossroads in Richland for awesome classic cars and motorcycles! Enjoy great music by a great DJ as well as food and prizes. Be sure to come back next week, where we will recap all of the events that are going on this weekend. It’s always a fun day in Pulaski County USA so get out of the house and do something fun! !